Pretty Girls Sweat is a national non-profit organization geared towards making fitness fun for females. The Howard University chapter has been around unofficially since 2013, and now in 2016 it’s an official campus organization. As the president, I’m always looking for ways to help women along their fitness journeys. 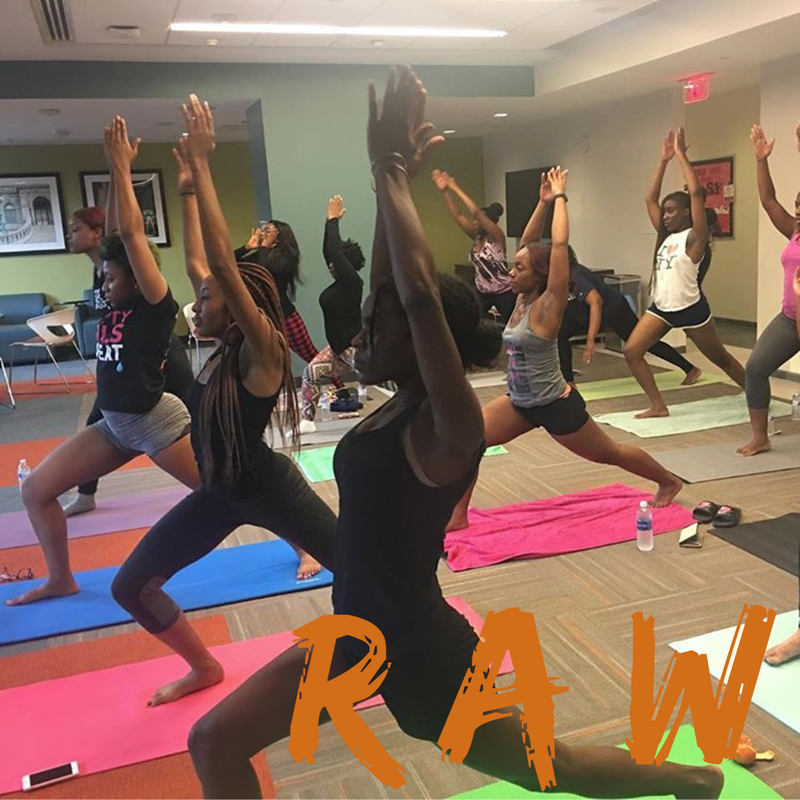 Holding weekly workout events, and creating spaces for women to grow is what I do! 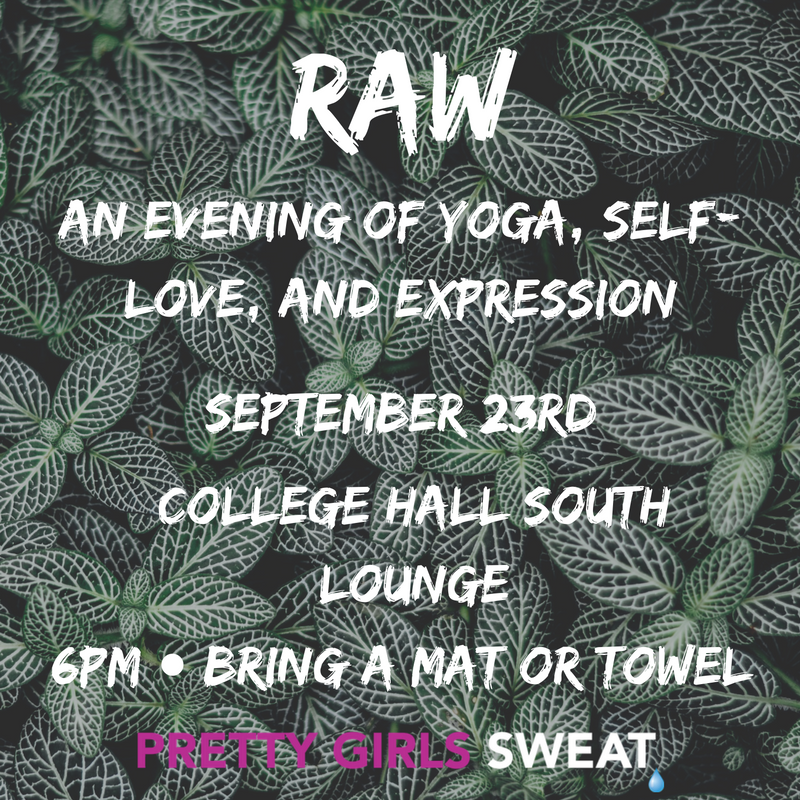 RAW was the first event of the semester. I wanted it to incorporate two things I think the females on this campus would benefit from most: yoga and self-care. I invited one of my mentors who’s a wellness advocate to lead the self-care exercise, and a yoga instructor recommended by a friend. Last night, I felt like all of my hard work had finally paid off. Initially, I was nervous about the thought of low turnout, or the music from nearby events being too loud. I had to shift focus on what could go wrong to what was actually happening. You can guess how relieved I was when of my beliefs prior to the event had been proven wrong. The ladies that attended showed up for themselves and all of them left feeling a little better than they left. I was so grateful that the women who did attend got something out of the experience, and that all of my doubts were proved wrong.